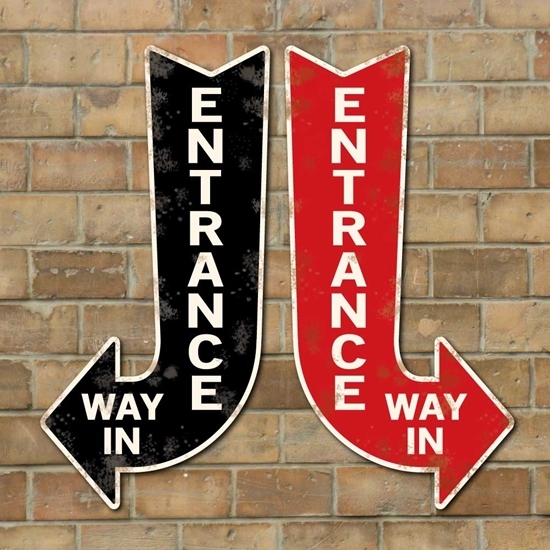 VINTAGE STYLE Entrance ARROW ...Robust Way In with a choice of direction and colour with an old aged effect. 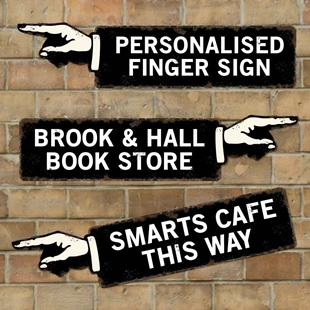 Aluminium composite metal sign, fully weatherproof and unbreakable. Print on one side only. Direction Left or right option. PLEASE ENSURE THAT YOU CHECK ALL DETAILS ARE CORRECT BEFORE PLACING THE ORDER. IF YOU ARE UNSURE ABOUT THE COLOUR OR THE MATERIAL PLEASE SEND FOR A SAMPLE. Send a large stamped addressed envelope to the address on the contact us page. 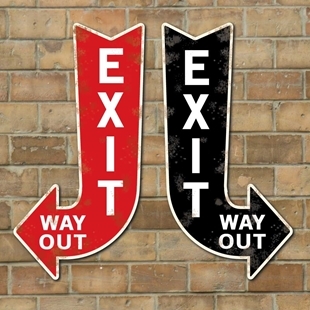 VINTAGE STYLE EXIT ARROW ...Robust Exit with a choice of direction and colour with an old aged effect. 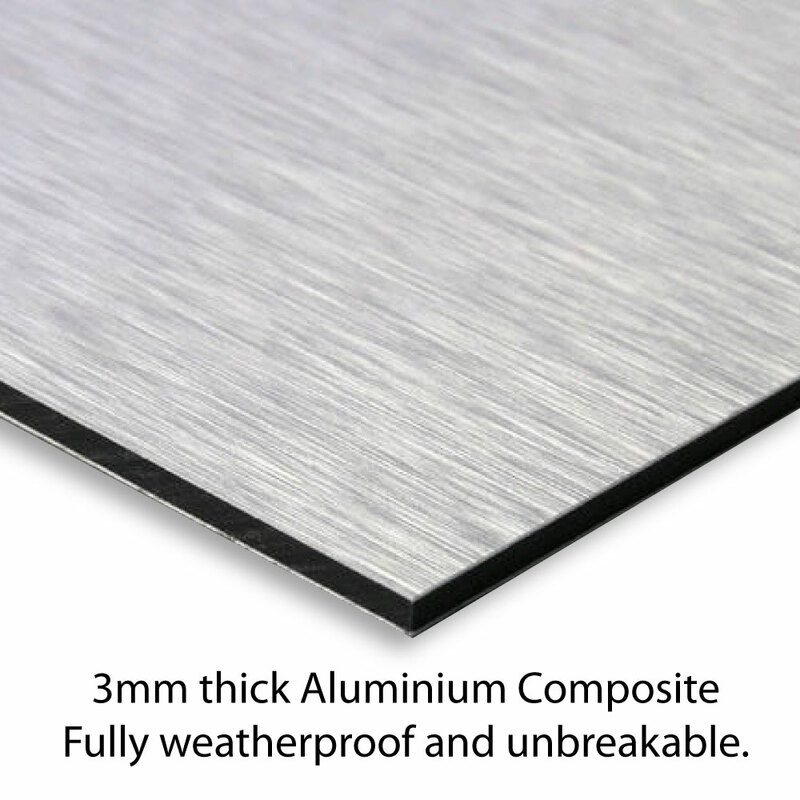 Aluminium composite metal sign, fully weatherproof and unbreakable.